“Twinkle, twinkle miss A star, how I wonder what you are~“. 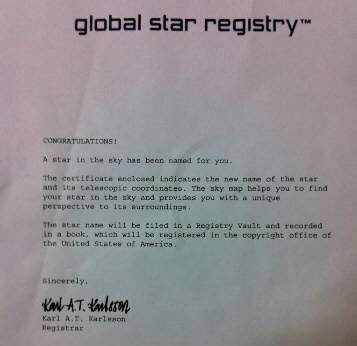 The ladies of miss A received an extraordinary gift from their fans in the form of a global star registry certificate. For the group’s 1 year anniversary present, fans decided to name a star after miss A. 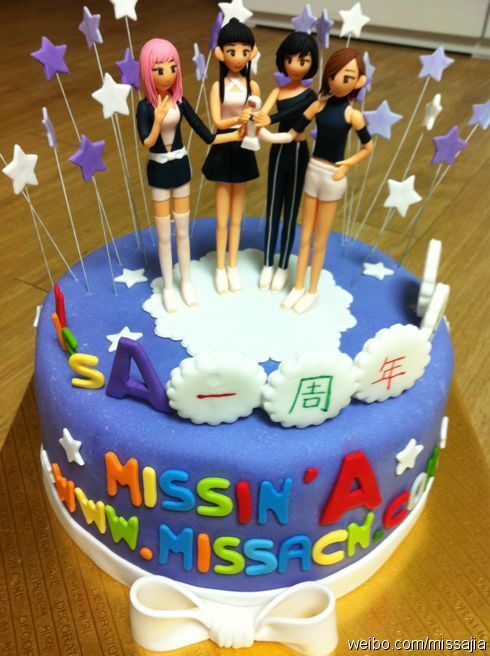 A representative of miss A responded, “The members were so touched by such clever 1 year anniversary present. They will repay the fans with a song that twinkles brightly like their star in the sky“. miss A is making their comeback this month with their album, “Class A“. Their title song, “Good Bye Baby“, is receiving a high amount of anticipation thanks to its dramatic MV teasers. 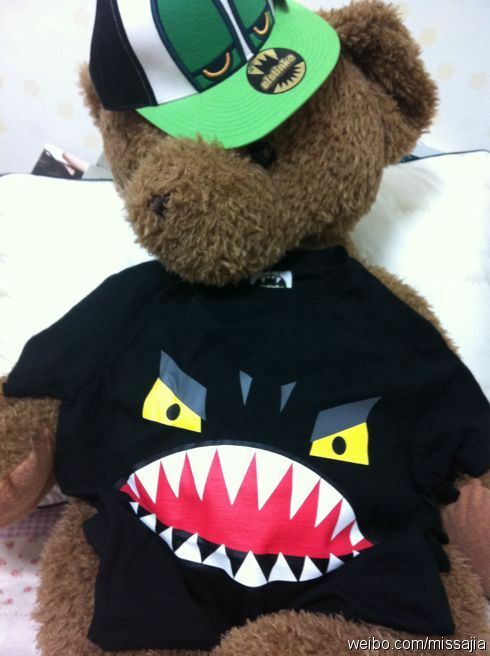 Aw, the gift is from the lovely Chinese Say-A from missin’A fansite!! First a beautiful cake, now a star xD This is awesome! 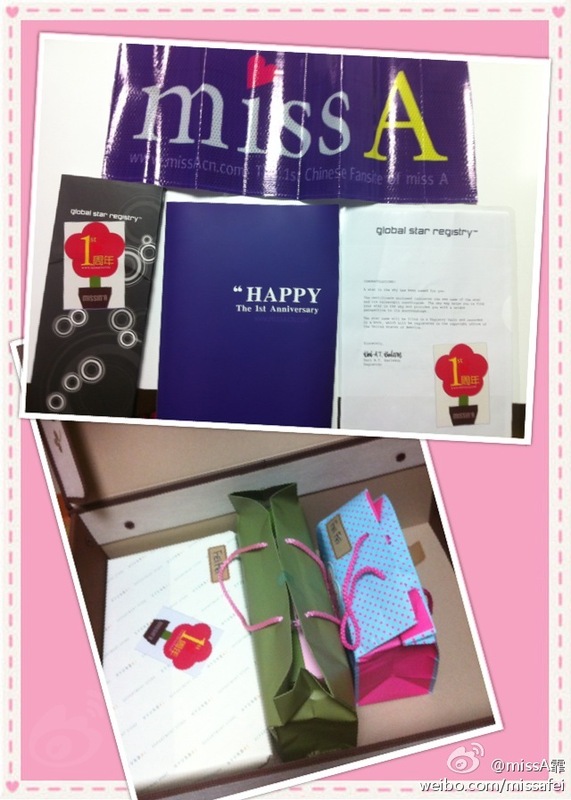 Today, missin’A (1st Chinese fansite of miss A) gave Fei, Jia, Min and Suzy their gifts for miss A’s first anniversary! Among those was a photo-album book with all the Chinese and International fans congratulation messages and creative photos ^^. Fei and Jia respond on Weibo!